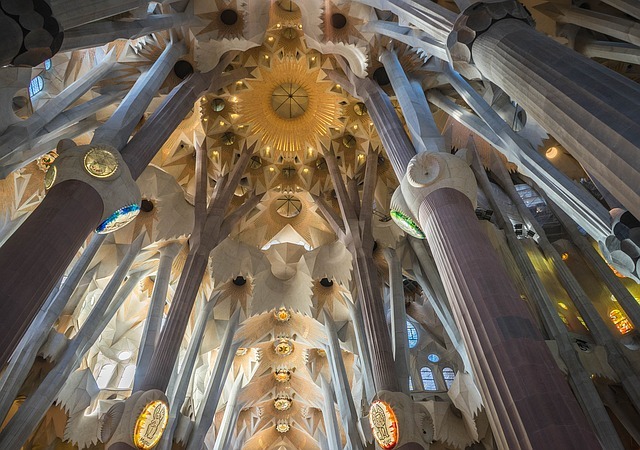 From the late 19th to the beginning of the 20th century, there was a great development of the Japanese culture in Barcelona due to its introduction into Europe, its great graphic industry, the Universal Exhibition of 1888 and the emergence of Modernism. 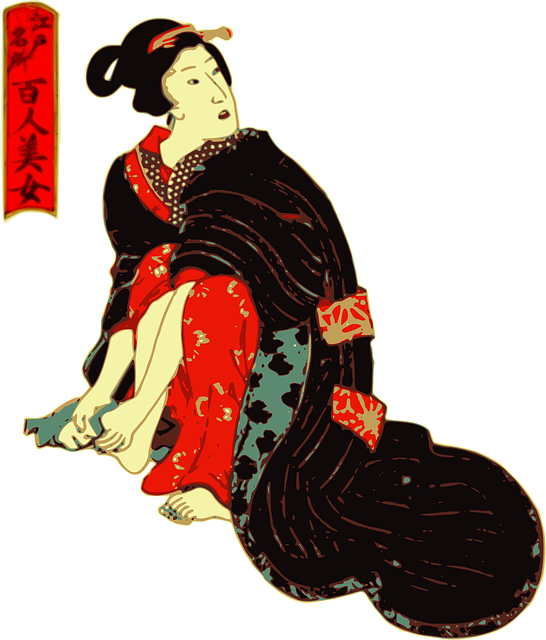 In the 19th century, Japan’s influence on Western art was decisive. This impact of Japanese art was recognised as the phenomenon of ‘Japonismo’. In another sphere more formal than spiritual, Modernism adopted various Japanese decorative resources in its elegant organic rhythms and in much of its ornamental repertoire, such as flowers, birds, butterflies and dragonflies. 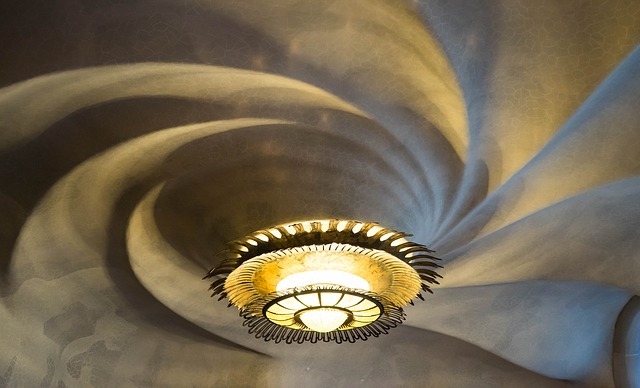 On the ceilings of the Casa Bures saw Japanese techniques being used due to its highly decorative nature, especially representative in the early years of the ‘Japonismo’, up to the late 19th and early 20th century. Undoubtedly, the most interesting part of this Japanese influence is found in the form of modernism absorbing the oriental canons to make them their own. According to various experts at the time, in the Japanese art the European artists saw an incredible source of inspiration coming from their engravings, their art with spots of colour, their new perspectives, their aerial views, and the way of representing the nature. 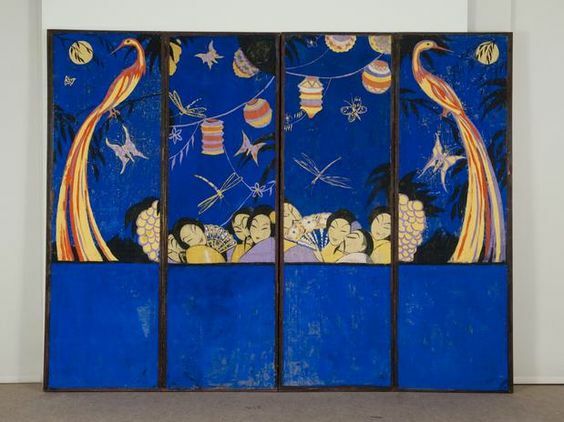 The painter Mariá Fortuny was the one who introduced the Japanese style in Spain from Paris, and soon influenced other artists, such as Salvador Dalí, who demonstrated a painted screen during the early days of his oriental period. For many connoisseurs, without ‘Japonismo’ one cannot understand what Impressionism, Modernism and Art Noveau stood for. The great maestros of the time collected Japanese art because they were fascinated by the country and its artistic manifestations. From 1895, Barcelona came to have six stores dedicated to Japanese art linked to the Catalan bourgeoisie, who was interested in the novelty, after the exhaustion of the classical sources of inspiration. The Barcelona exhibition of 1888 was the first international event held in Spain and, at the same time, the first time that Japan officially represented itself in the peninsula, by presenting samples aiming to show off their best industries and some of their finest artists. In addition to bringing the art of Japan to visitors, the occasion facilitated the contact between the Catalan and Japanese, fostering the establishment of the first direct commercial links between Catalan and Japanese entrepreneurs. Amongst the group of stained glass that represent a Japanese scene, one of the first is framed within the works of the Universal Expo of Barcelona of 1888. Passion for nature. Use of flat and vibrant colours. The predominance of clear, descriptive and decorative lines. The use of lines to highlight the volume of figures, without shading, to highlight the pure colour.